So I will be travelling with British Airways. I've never flown with them before and now that I work for them I believe it is the perfect time to start. With British Airways I'll get given a 2 piece allowance to take on as hand luggage which will be a small cabin size suitcase and a handbag to keep other essentials and stuff in as well. Within the cabin size luggage I can actually take up to 23 kilos with me which I think is amazing. 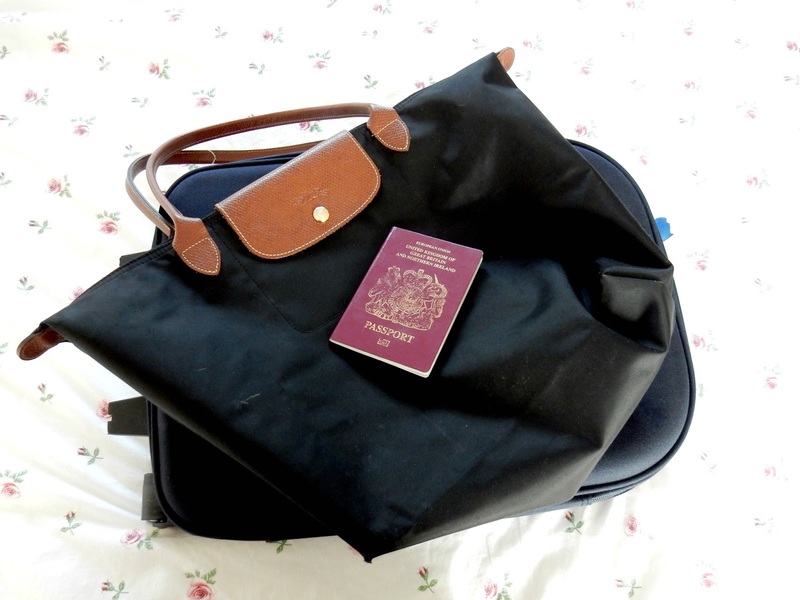 I will be using my long champ hand bag which actually use for work but I also think is such a perfect size for travel as it can fit everything in it like my travel wallet, purse, some snacks and other essentials like hand sanitisers and my make up back but I'll be doing another post on that nearer the time so keep an eye out. Here's a list of things I'll be keeping in my hand bag. Sunglasses - This is mainly for when I land in Mauritius because it is extremely sunny and warm over there at the moment so I'll definitely be needing this especially as the weather is so beautiful compared to here. Headphones/Earphones - Now I take two types of headphones. I take the earphones that come with the iPhones and I take my regular over ear headphones that I use for listening to music and watching films and stuff on the in flight entertainment. I love these headphones as they are such good quality and perfect for travelling as they fold up as well. However I want to have a little sleep or keep on listening to music on my iPod I will switch over to the earphones as they cause less pressure on my ears and just are more comfortable in general and plus if anyone wants to wake me up I'll be able to hear them. iPhone & iPod - I'll be taking both of these things with me when I go on holiday as being a blogger I'll want to keep up to date with other blogs in the evening when I'm at home and there's nothing much to do. I'll also be listening to music and movies as well on them. Portable Charger - Probably won't be much use half way through the flight but I'm definitely taking my portable charger as it's something that will be super useful if my phone or iPod dies. Sleeping Mask - I totally forgot to add this into the photos but I'll be using a sleeping mask when I'm on the plane. It's something I just have to use when I'm on long haul flights. I'll be wearing the mask from my friend Gabriella (Velvetgh0st's) collection which I believe is now sold out but I may be wrong. It's just one of the softest masks I've ever come across and I love how cute it is as well. Camera - I will be taking my blogging camera with me as well as I will be blogging about my journey from the moment I leave my house to the moment I get to Mauritius so keep an eye on a blog post that will be going up probably the day after I land. Chewing Gum - Chewing gum is a must for me on any long journey but especially on flights as you're in such close proximity to other people and you don't want to be having bad breath now do you? I also take it as a way to calm me down on take off. I'm not a nervous flyer once we're up in the air however I absolutely hate take off and always panic a little bit and this just calms me down so I'll be taking them in my bag. Mini Make Up Bag - No not for make up. I actually use this to keep essentials in like tissues, refreshing wipes, hand sanitiser and headache tablets just so they are easily accessible. So that's all the stuff I'll be taking in my hand bag. I'll probably be taking some extra healthy snacks and stuff for the flight as well as I've never been keen on airport or airplane food. The next few things I'm packing I said I was going to put in my handbag as well but when I put it all in it was seriously way to heavy so I'm going to put it all in my little suitcase. Journal - I've been keeping a journal since I was 12 and it's just something that really calms me down so I know it's something I'll definitely be doing on the long journey to Mauritius. Hair Brush - To obviously tame my long mane of hair. It's getting a ridiculous length now. I'll definitely need to chop it a little bit when I'm back. Magazine and Book - Just to keep me entertained. I just put these as examples as I've already read both so god knows what I'm going to read when I'm at the airport. Make Up Bag - To carry all my make up essentials in. I don't actually wear make up on planes but I'd still rather keep it all in one place. Especially concealer and powder which are the most important in my make up bag. I will be doing a post all about my beauty essentials for flights so make sure to keep an eye out on that. Mini Perfume - I got this mini perfume in a little ted baker gift set for Christmas and it came with four gorgeous scents. So I'll definitely be using this for the plane as they are just such perfect little perfumes to travel with. Laptop - I will rarely be on this but on days where I probably relax at home and want to type up blog posts or watch films I've downloaded then this is where I will go. 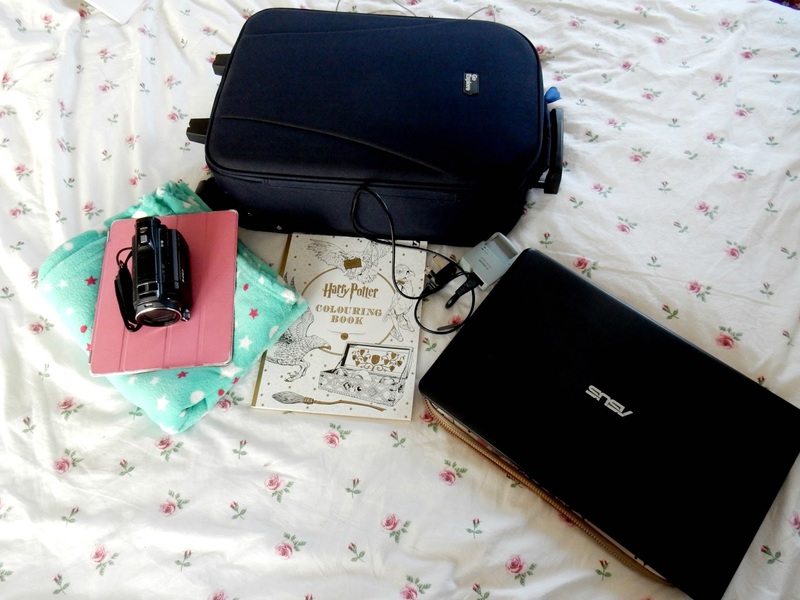 I won't be an anti-social person when I'm on holiday don't worry. I'll also be keeping this in my laptop bag as well. Video Camera - If you didn't know I've decided to relaunch my youtube channel in 2016. I did two videos at the beginning of 2014 but then kinda failed so gave up however I want to have another hobbie and just experiment a bit with video editing so I thought why not use Mauritius as the perfect opportunity to start. Keep an eye out on my channel! Blanket - Yes I know it's kinda silly to take your blanket but I've taken this one in case it gets cold on the flight and I want to snuggle up a little bit. Harry Potter Coloring Book - No I am not five but this is one of the most therapeutic things I've ever bought. I'll definitely be taking this to keep me company on the flight. Warm Socks - You really don't need to be wearing shoes on a long haul flight now do you? So I'll be taking a pair of cosy socks to wear that'll keep my feet nice and warm. So there's just a few things I'm going to be taking in my cabin luggage when I go away on Saturday! I can't believe how near it is. I'm really nervous to go because I haven't been there since I was 9 years old and some members of my family I haven't seen in that long either. It's going to be such an amazing trip filled with so many good memories. I will be documenting it all on my blog and youtube so be sure to keep an eye on them. 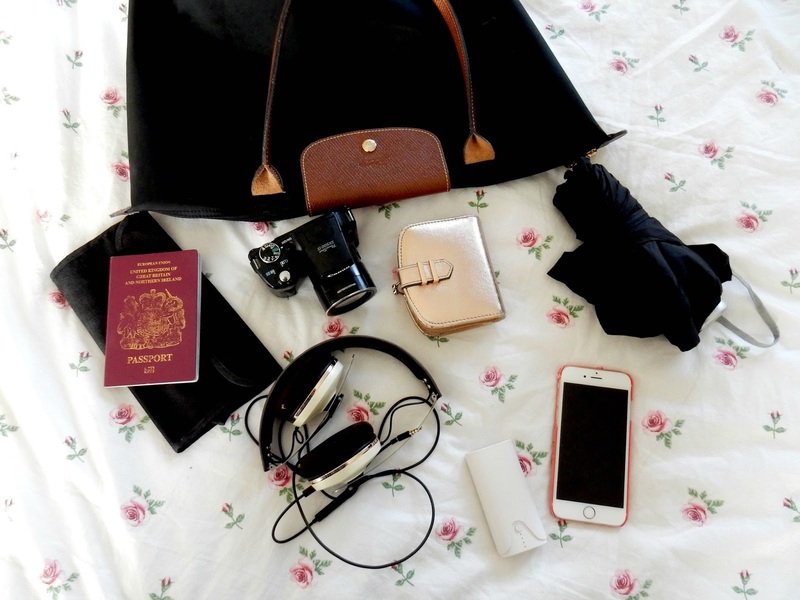 What are your long haul or short haul flight essentials? Agree with all of these things! SO essential to take things to do on a long haul flight because they get so boring sometimes! :( (which is not fun!) I always make sure I take make up and wipes too! I totally agree with all the things you just listed! These essentials keep me sane when I'm on a plane for a few hours cramped up in the small seats. Great suggestions, especially the blanket! Also, I love your bag! Longchamp, right? I was so close to buying one last year but resisted.